Isabella's Project Diary: The Pennsic House is Period! The Pennsic House is Period! This is my vardo/trailer for SCA camping events. Specifically, Pennsic. The door is open in the picture because I was running in and out while I was painting Spikes (the seahorses) on the side. After all, everyone needs to know it's a proper Atlantian home, right? But how proper is it? Well, when I started doing research, most SCAdians seem to think that these Pennsic homes go into the creative part of the Society for Creative Anachronism. All I could find were mentions of covered wagons going back well into period but nothing on the wooden huts. That was, until I realized it was a terminology issue. Vardos - those beautiful 19th and early 20th century wooden wagons weren't necessarily period- but shepherd's huts are. A cabin on wheels? That sounds like my Pennsic house. 1596 is just inside the SCA pre-17th C guidelines, but it works. 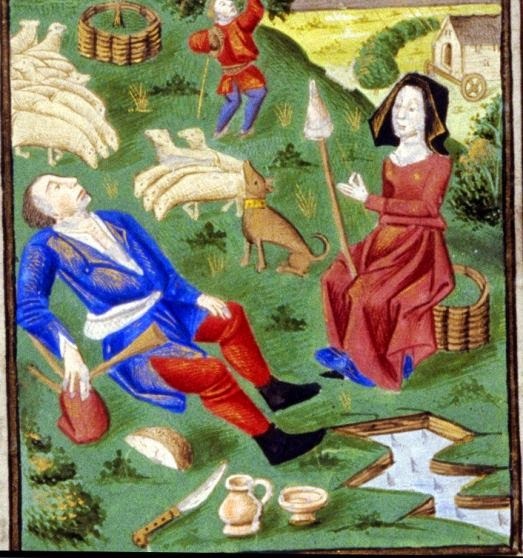 In the book, I also saw a couple of illuminations from the 15th century depicting shepherd huts. Curious, I looked for more and found quite a few now that I knew what to look for. 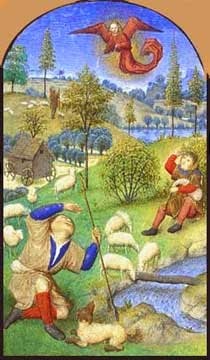 Thank goodness for shepherds being a popular subject in the Renaissance! Look above Eve's head to the right. There is a small house on wheels. 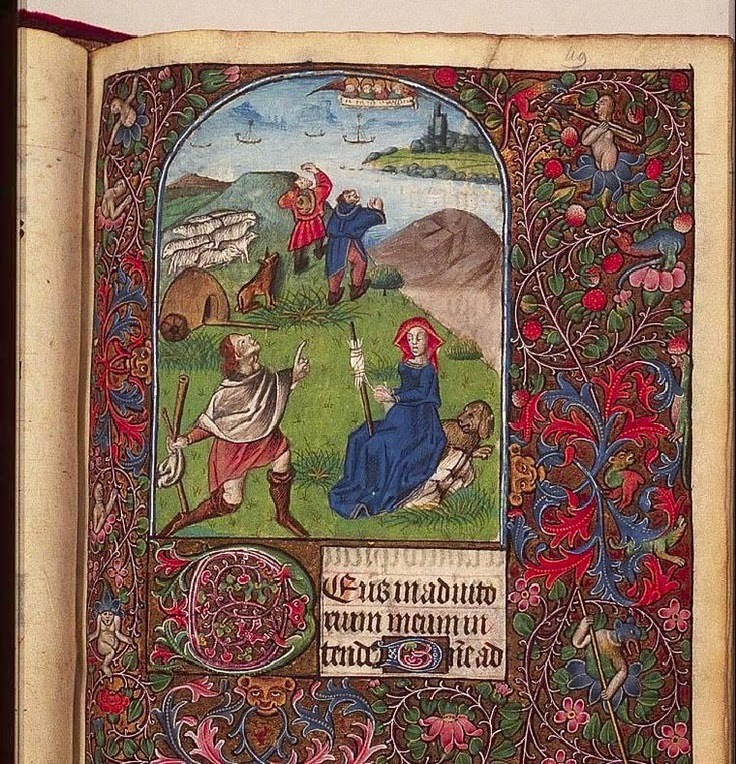 I found the image at this site and only know that it's of Adam & Eve from a book of hours. Based upon the clothing in the image, I'm guessing late 15th/early 16th century. N'rmind. 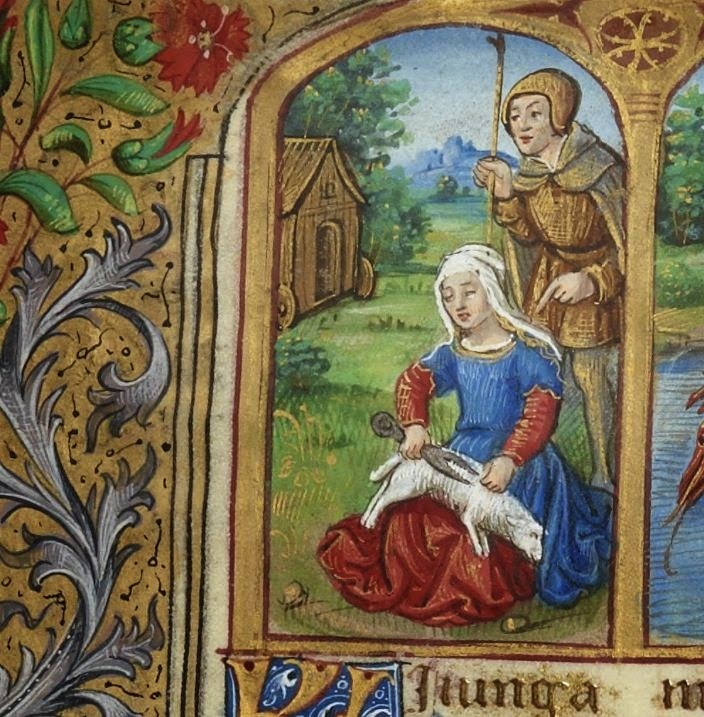 I found the original Annunciation to the Shepherds here: MS. Rawl. liturg. 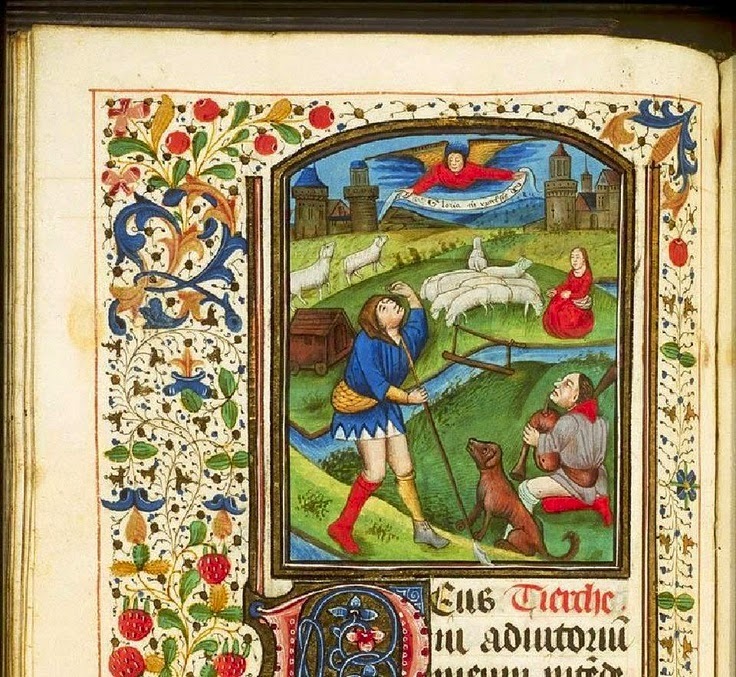 f. 13 Still, it's only one image. The book above had a couple. Was there even more? Above the shepherd on the left's head is a very clear example of a shepherd's hut. There are wheels at each of the corners and it is very much house/cabin shaped. On the right, another example of a shepherd's hut. There are wheels visible and, this time, we can even see the door. Behind mister I have awesomely mismatched socks...er hosen, there is another Shepherd's hut. This one has smaller wheels than we've seen previously. So where they always house shaped? No! I'm not sure if this is a Shephard's hut or a dog's house as that pup looks to be guarding this little two wheeled model pretty closely. Basically, a house on wheels is perfectly period for the SCA period. It might be late for some people but as my persona is late 15thc into the 16th C, I'm really excited about these images. EDIT: If anyone would like some more information, I stumbled across this article in French that gives a few more examples of Shepherd's huts, called roulotte in French. I've also started a pinterest board regarding the Shepherd's huts in the SCA time period that should be regularly updated. So far, 19 images! Thank you! I now have several more examples and have taught a class on these at Pennsic. Check out my pintrest board for a lot more. Also, let me know if you have any questions - I really love exploring more on shepherd's hut and learning more about them myself. New Limited Time but Fabulous Product Alert! A Shower Tent for Pennsic!